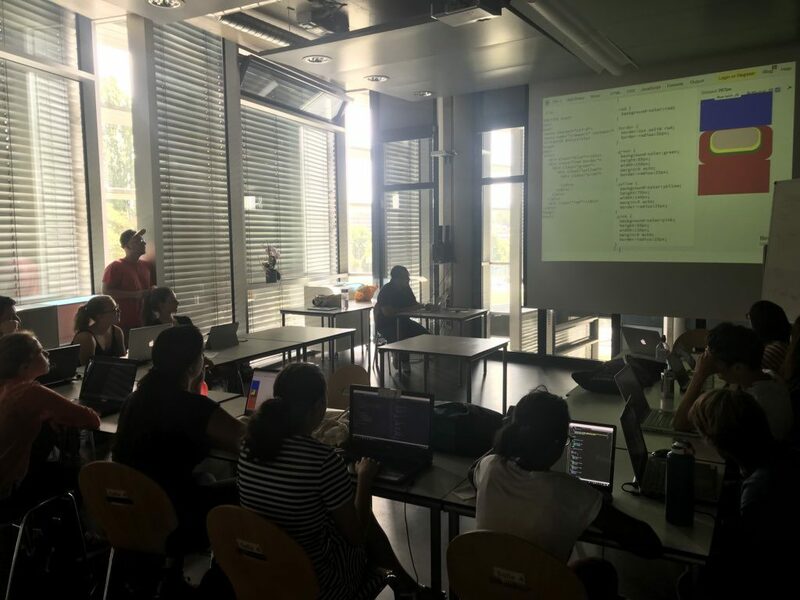 This Summer we had the opportunity to offer a one-week web development course from July 16 to 20 at Forum Geesseknäppchen in Luxembourg. A dozen young girls and boys participated in our web Summer School which was supervised by our incredible team of trainers. We were pleasantly surprised by the participants’ willingness to learn and commitment. We look forward to organizing more coding courses. Thanks to the Ministere de l’Egalité des Chances, Luxembourg National Youth Service (SNJ) and Digital Luxembourg for the support.